Today, June 24, the local government of Manila is commemorating its city’s 444th year of establishment. Founded by the country’s first governor-general and conquistador Miguel Lopez de Legazpi in 1571, Manila played a pivotal role as the seat of the Spanish colonial government in the entire Philippines. Moreover, the strategic location of Manila made it function as the center of the Spanish East Indies, which comprised of all Spanish territories in the Asia-Pacific region including the Caroline Islands, Guam, Mariana Islands, Moluccas and parts of Taiwan. But long before the Spaniards arrived in 16th century, Manila was already a thriving kingdom with flourishing relationships with Arabs, Indonesians from Java and Sumatra, Japanese and Chinese. Tondo, which is now just a part of Manila’s first and second district, was actually a kingdom ruled by a lakan, whose authority was equal, not to a mere tribal chieftain, but to a king recognized by the powerful emperor of China’s vast Ming Empire. During the course of more than three centuries of Spanish colonial grip and nearly five decades of American occupation, the old kingdom of Manila experienced a series of groundbreaking changes, which are still seen in the many surviving structures that reflect its long and rich history. In 1571, de Legazpi, along with two other conquistadors Juan de Salcedo and Martin de Goiti, conquered the kingdom of Manila and established Intramuros. Carrying a Spanish name which means “within the walls,” Intramuros is actually a walled district – the oldest and the most historic in Manila. Being at the crux of the Spanish colonial rule, Intramuros is a powerhouse of numerous structures that highlight Spain’s deep impression on Manila’s architectural taste. Famous destinations in Intramuros include Fort Santiago, schools such as Colegio de San Juan de Letran and Colegio de Santa Rosa, and Catholic churches like the Manila Cathedral and the San Agustin Church (where de Legazpi, de Salcedo and de Goiti are entombed) as well as the Palacio Arzobispal, the former residence and office of Manila’s Archbishop. Intramuros also houses buildings that were employed by the Spaniards as government facilities, many of which are still in use today. These include Ayuntamiento de Manila (Bureau of Treasury), Cuartel de Espana (Pamantasan ng Lungsod ng Maynila), Hospital de San Juan de Dios (Lyceum of the Philippines University), Palacio de Santa Potenciana (Philippine Red Cross) and Palacio del Governador (Commission on Elections). Adjacent to Intramuros along Roxas Boulevard beside Manila Bay, famed for its golden sunset, sits one of the largest urban parks in Asia – the Rizal Park which is also known as Luneta. The site gained notoriety during the Spanish era as it was used as a place of execution. One hundred fifty-eight (158) enemies of the colonial government were martyred here, famous among which were the three Filipino priests (Gomburza) and Dr. Jose Rizal, the country’s national hero. As its moniker suggests, the most prominent spot in the park is Rizal’s monument, where his remains are also interred and guarded. Other points of interest in Rizal Park include the Children’s Playground, Chinese Garden, Independence Flagpole (the highest flagpole in the Philippines), Japanese Garden, Manila Oceanpark, National Library, National Museum and the Quirino Grandstand. Originally, Malacañang was designed as a summer house by the Pasig River constructed by the wealthy Don Luis Rocha in 1750. In 1825, the Spanish government acquired it to serve as the summer house of the governor-general. However, with the destruction of the Palacio del Governador in Intramuros due to the 1863 earthquake, Malacañang became the official residence and office of 18 Spanish governor-generals, 14 American military and civil governors and all Philippine presidents starting off with Manuel Quezon. Not only the Palace but the entire complex where it is located is historic. Malacañang complex houses the San Miguel Church (established in 1603) and mansions Goldenberg, Laperal, Legarda, Teus and Valdes. The 1920s and 1930s were marked by the rise of edifices showcasing American architectural influences. Among the Filipino architects who stood out during the period was Juan Arellano, one of the earliest pensionados or scholars who were sponsored by the American colonial government to study in the United States. Applying what he learned from Pennsylvania Academy of the Fine Arts and Drexel University, Arellano introduced neoclassical and Art Deco architectural styles to the country. Neoclassical influences were clearly manifested on the Jones Bridge built in 1916 and the Old Legislative Building (now the National Museum) in 1926. Co-designed with Tomas Mapua (founder of the Mapua Institute of Technology), Arellano also made the blueprint of the Manila Central Post Office in 1926. Four years later, Arellano designed the Manila Metropolitan Theater, this time, based on the Art Deco architectural style. Known as the oldest Chinatown in the world, Binondo was established by the Spaniards in 1594. But like the entire Manila, Binondo was already a flourishing hub of Chinese commerce prior to Spain’s conquest. Since then, Binondo has been the center of commerce and trade in Manila, where all Filipino-Chinese-owned businesses thrive. Seeing the growing population of Chinese converts in Binondo, Dominican priests built the Parroquia Basílica de San Lorenzo Ruiz y Nuestra Señora del Santísimo Rosario (Binondo Church) in 1596, the most notable landmark in the area. Burke Building rose in Binondo in 1739 as the location of the first elevator in Manila. 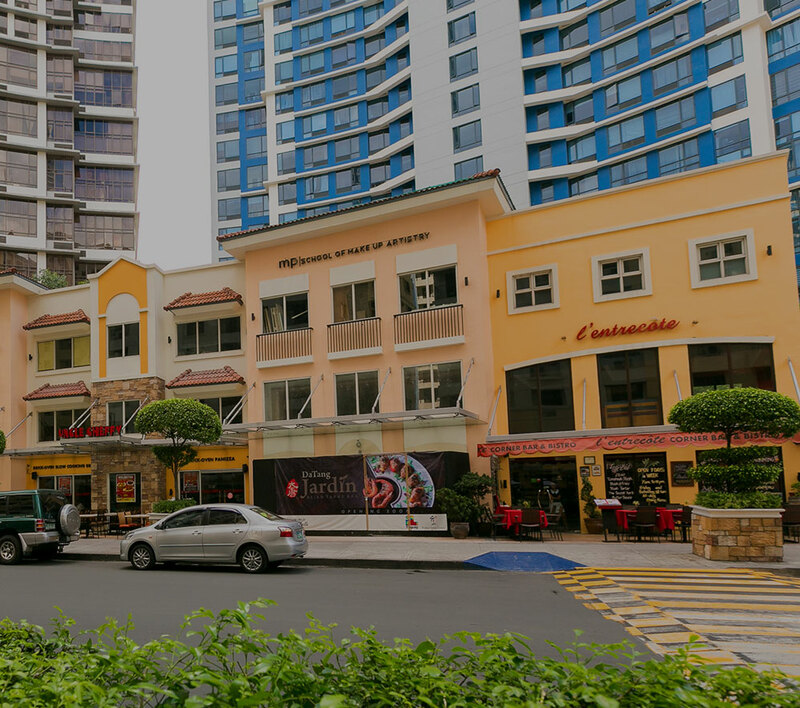 Following the successful establishment of Cityplace Twin Tower Residences and Lucky Chinatown mall, Noble Place is set to become a stunning edifice at the very heart of the historic Binondo and the entirety of Manila. Standing 47-storeys high, the all-glass Noble Place will be overlooking and adjacent to many of Manila’s historic sites like Intramuros, Rizal Park, Malacañang Palace and, of course, Binondo. Noble Place will also offer magnificent views of the sunset at Manila Bay. Featuring a range of studio and 5-bedroom units, future residents will be treated to a roster of amenities that include a skygarden, infinity pool, gym with sauna and spa, game room, children’s playground and a landscaped garden. Noble Place will surely be a prized possession for every unit owner, as Binondo has one of the highest land values in the country, taking into account its immeasurable historical and financial significance. Furthermore, apart from building Noble Place, Megaworld is extending its commitment to preserve Manila’s enduring heritage by actively rehabilitating the Plaza Cervantes, a major street in Chinatown that serves as a gateway to the Binondo business district. Noble Place is scheduled to be completed in 2017.